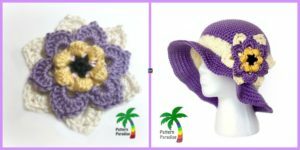 Once again, I am going to show you another beautiful, quick, and easy stitch, which is named Crochet V-Stitch. 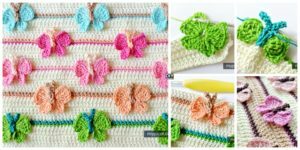 This wonderful stitch not only looks good, it is also very quick to use! 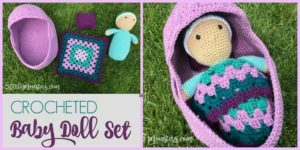 The instructions, which are down below from the link, show you how to use the V-Stitch in a baby blanket, but you can also be creative and come up with your own ways to use the crochet V-Stitch. 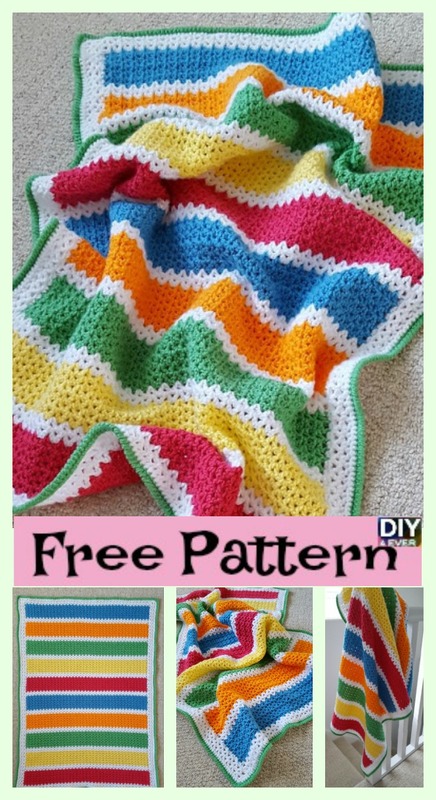 The colorful Crochet Baby Blanket made from free pattern looks fantastic, and can keep your baby warm! 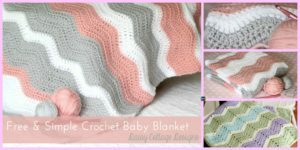 This Crochet V-Stitch Baby Blanket instructions are pretty simple, so if you want one for your baby, then you can start crocheting! 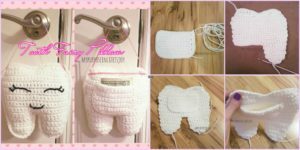 You may also like: Crochet Tooth Fairy Pillow- Free Pattern.